What Do I Need to Know About A/B Testing? Everything from your website’s design to its functionality determines the user engagement you can expect to generate. But what works for one site may not necessarily work for another. And for this reason, it’s important to leverage A/B testing to see which design, functionality, page element, positioning, and wording combination resonates best with your viewership. In its simplest form, A/B testing is the process of comparing two variations of the same web page to determine which one performs better. You start off by defining a goal that you’d like to optimize your web page for and then presenting two variants of the web page to similar visitors simultaneously. The web page that is closer to the goal is the winner. Conversion rates. A/B testing is the most effective way of landing on a design and layout that is optimized for conversions and backed by real, quantifiable user data. User experience. Through A/B testing, you can measure the user engagement that both web page variants generate. This allows you to gauge the user experience they deliver and maybe even experiment further with improved versions of the winning design. Better engagement. The main idea behind A/B testing is to find out which web page variant encourages more people to interact with your site and helps you meet your goal. It puts real data acquired from user engagement ahead of what you think may work. A/B testing in WordPress lets you play around with all kinds of page elements including headlines, call to actions (CTAs), page layout, copy, image placement, button colors, and much more. If you’re not sure what to test then you may want to start off by analyzing your web page’s problem areas first and then moving forward from there. In the next section, we’ll show you how to take a scientific approach with A/B testing in WordPress to get the most out of your experiment. A/B testing, when done right, is designed to run just like a scientific experiment. And as is the case with all scientific experiments, it’s always best to use the scientific method. In this section, we’ll show you how to take a scientific approach to conduct A/B tests on your WordPress website. Find out how to A/B test your #WordPress pages following the six-step scientific method! The first step in the scientific method is to make an observation and define the purpose of your experiment. And in the case of A/B testing, this means that you need to identify a problem area on your website and set a goal. You could ask yourself if there’s a page element you’re doubtful about. Or if you think a certain process on your website is difficult for your prospects to understand. What goal are you trying to achieve by optimizing those web pages? For instance, you may have noticed that a newsletter subscription form on your web page isn’t getting as many conversions as you’d like it to. You might want to try out different form layouts, change the wording on the form’s fields, or experiment with the CTA text in order to get higher conversion rates. Once you’ve determined which web page (and better yet, which page element) you’d like to conduct the A/B tests on, you can move on to finding out more about your initial observation. This is where tools like Google Analytics and information gathered from contact forms and comments will help you out. Your goal in the research stage should be to find out as much as you can about the observation you made in the previous step to be able to come to a strong hypothesis in the following step. You could look for clues, like which pathways do users follow after they land on your website. Following our running example, are they moving towards your subscription form or away from it? Do heat maps suggest your viewers are drawn to the subscription form but still aren’t subscribing? You may be surprised at what you find out from your research. Now that you’ve collected sufficient data and have a clear goal in mind, the next step is to develop a strong hypothesis. In simple English, this means you need to predict the outcome of your experiment to get an idea of what it is you’re looking to achieve from it. You may start out by analyzing the page elements in more detail and breaking them down into their individual components to make finer, better-quality variations. For instance, if we wanted to run A/B tests on our subscription form, we might consider creating a variation for the CTA text, a separate one for the form fields, and a third one with both the CTA text and form fields modified. And if you want to go into a bit more detail, you could also think about what modifications could be made to achieve the goal. For instance, would it make sense to change the CTA text from Submit to Sign Up For Free? It would also be a good idea to make quick notes of which results you expect to see from each variation. It’s time to begin experimenting! At this point, you should have a page element singled out that you want to run the A/B test on and some idea of how you want to modify it for the variation. It’s also a good idea to find out how long you should run the A/B test for based on factors such as the number of variations, average number of visitors, and the conversion rate you want to see. You will create a variation of your web page in WordPress, making sure the page element you’re targeting is modified in the test page (the new page) and constant in the control page (the old page). The A/B testing tool will redirect half of your incoming traffic to your test page and the other half to your control page. Pro Tip: It’s best to present the test page to new visitors instead of returning visitors. Once your A/B test is in action, it’s important to analyze and monitor the results regularly. Even though you have a time duration specified for your test, it’s generally a good idea to view the results in real-time during the experiment. Depending upon which tool you decide to go with, you can view reports of both variations against different factors to see how your test page performs. This will also help you determine if the test page outperforms the control page and if so, in which areas and by how much. After the A/B test is done running, you should have a ton of information and reports on hand to take action. Start off by analyzing the reports and comparing them with your initial hypothesis. Are the A/B test results in line with the hypothesis you formed earlier or are there significant deviations? Was the outcome of the test page closer to the goal you set than the control page? For instance, in the subscription form example, did more visitors become subscribers when they were presented the test page? Or did the test page end up giving us fewer conversions than the control page? If you’re satisfied with the A/B test’s results then you can go ahead and publish the winning page on your website. However, if you’d like to further optimize its design or try out new variations then all you have to do is – in the true spirit of scientific experimentation – repeat the scientific method once again. 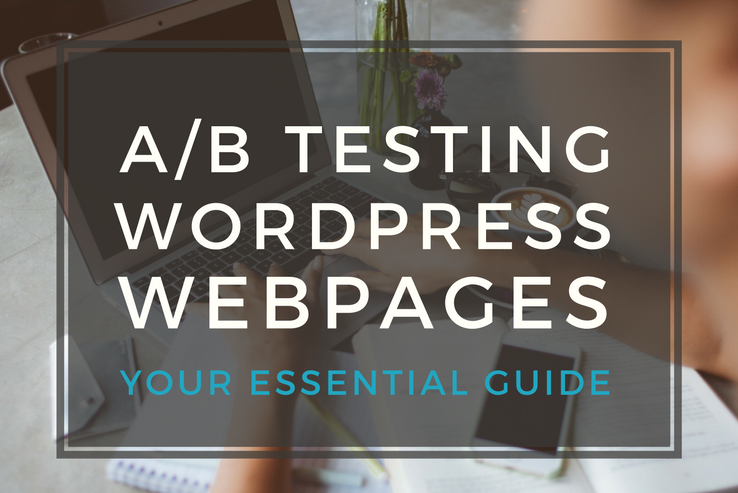 Now that you have a better understanding of how the A/B testing process works, let’s run the rule over some of the best plugins and tools to A/B test your WordPress website’s pages. As its name suggests, Simple Page Tester is a simple plugin for WordPress that allows users to set up and run A/B tests without having to mess around with code. If you’re looking for an easy way to dip your toes in the pool of A/B testing then this plugin offers a great starting point. And when you’re ready to take things to the next level, you can upgrade to the premium version and leverage its built-in analytics and conversion tracking functionality. Nelio A/B Testing is a powerful, premium A/B testing tool designed specifically for WordPress websites. It gives you all the right features to test everything from WordPress pages and posts to custom post types and headlines. In addition to this, you can also configure its settings to automatically update your website to publish the winning variation. 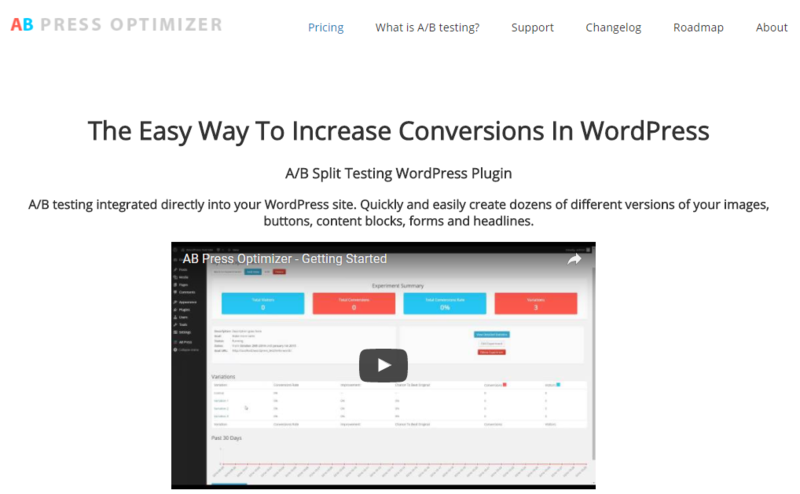 AB Press Optimizer integrates A/B testing functionality directly into your WordPress website so that you can quickly create and run tests without having to leave the dashboard. The premium plugin lets you run unlimited experiments with unlimited variations and offers real-time reporting. And to top it all off, the plugin is incredibly easy to set up and get started with. 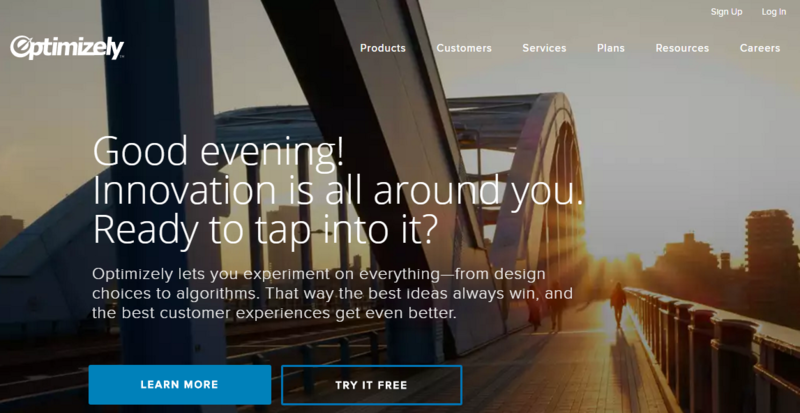 Optimizely is a comprehensive A/B testing tool that claims to be the easiest and most powerful way to run experiments across your website. With Optimizely, you’ll be able to leverage its Stats Engine to make experimental decisions backed by statistical data. 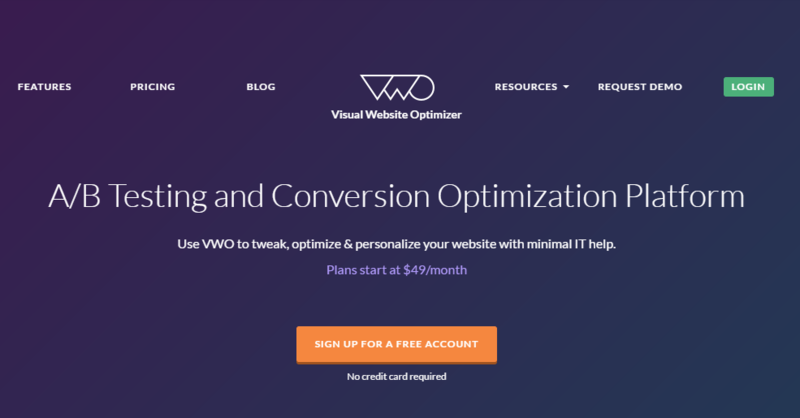 Virtual Website Optimizer lets you do everything from creating variations of your web pages to setting up A/B tests and tracking them. Its simple, three-step process is all you need to get started with A/B testing your website – even if you’re not particularly tech savvy. And the best part is that it lets you track multiple conversion goals at once! While UsabilityHub isn’t exactly the tradition A/B testing solution, it’s a great tool for identifying problem areas on your site. It offers a suite of tests including the Five Second Test, Click Test, Question Test, Navigation Test, and Preference Test to give you insight into how users interact with your web pages and what you can do to optimize user experience and performance. If you’re having second thoughts about your website’s design or layout, then A/B testing is the way to go. It gives you research-backed data on which design works best with your viewership and which simply doesn’t. Define the purpose of your experiment. Conduct some research about your initial observation to gather more data. Set up your A/B test and begin the experiment. Take action by running more tests or publishing the winning web page. 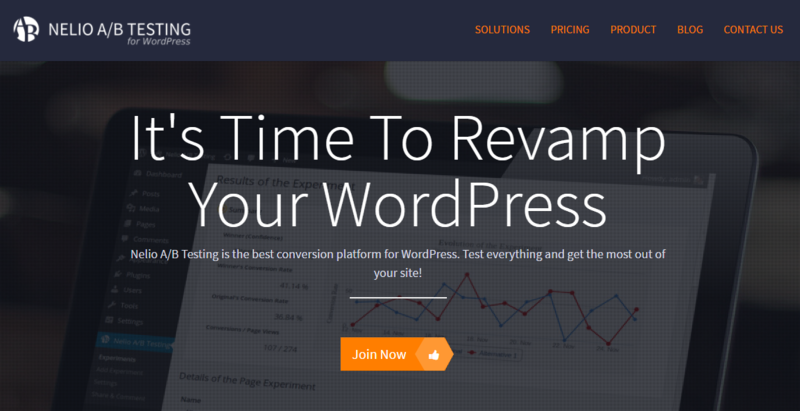 What are your thoughts on setting up an A/B test in WordPress using our scientific approach? Let us know by commenting below!